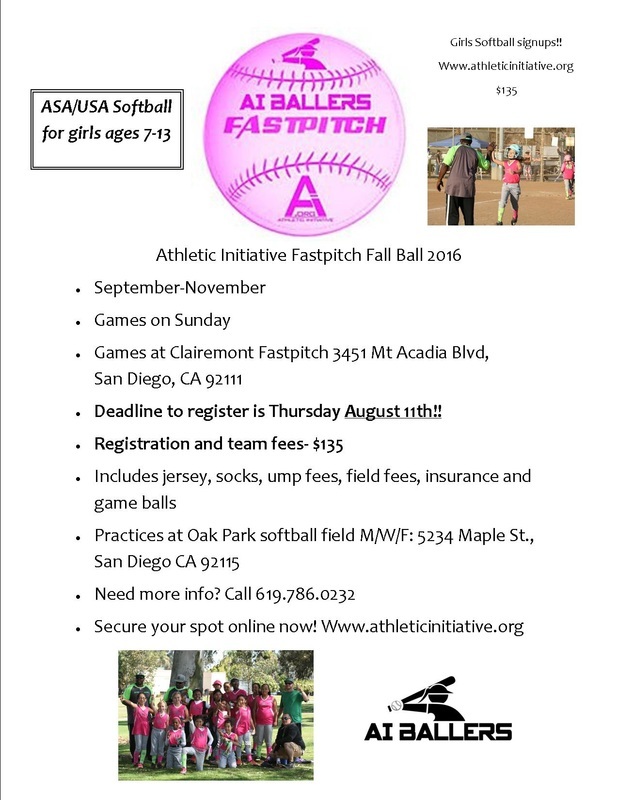 ​Athletic Initiative Fastpitch is an ASA/USA youth recreational softball organization for girls ages 5-14. The Ballers compete with local USA softball Rec LEAGUES: Peninsula, Clairemont, UC Del Sol, North Park, Coastal Bay and Tierra Canyon. It is a developmental league that focuses on FUNdamentals, character, teamwork, knowledge of the game and situations, proper mechanics, sportsmanship and athleticism. We develop players into athletes that think. We meet our goals of "getting a little bit better" each game. Ballers! 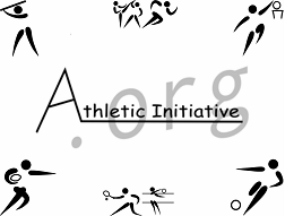 Like our Athletic Initiative Facebook page for dates and events! Fall Softball is for new and continuing softball players that would like to maintain and or improve their skill level for the spring season. Girls have the opportunity to learn the next higher level of competition, pitching distance and larger ball size. Teams will be formed August 10, 2016 and practices will begin at the end of August. Games will be played September-November. There will be an end of season Tournament to conclude the Fall Ball Season. Team placement is not guaranteed, registration is first come first serve. We will make every attempt to place all girls onto a team however the season is dependent upon having enough Pitchers, Catchers and Coaches.